Nice and wonderful pickle !! 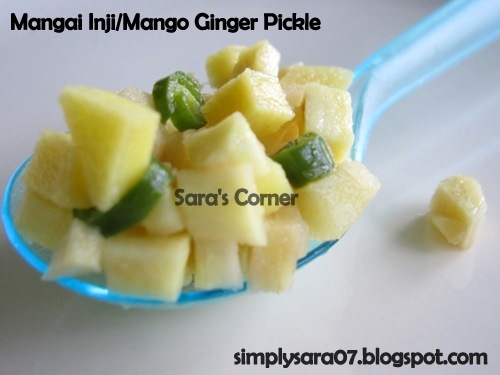 Drooling over that tongue tickling pickle..
My MIL too make this Sara..and I always find it very enjoyable..looks so tongue tickling. Makes a tongue tickling accompaniment to curd rice!!! simple n perfect curd rice! 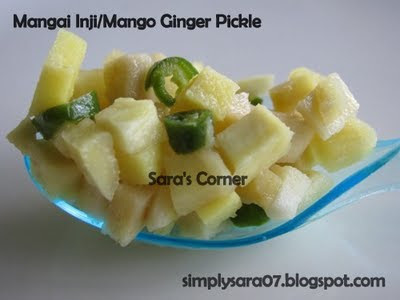 I still crave for my friend's mom mango ginger pickle, she prepare it awesome..and this makes me more tempting...love to have it with curd rice..
Drooling over that tongue tickling pickle.